I figured I'd do one video where I tried to squeeze all of the wave 1 Galaxy Squad sets on screen before I took them all apart :) Here they are with my final thoughts! LEGO Galaxy Squad Bug Obliterator 70705 parts & review! 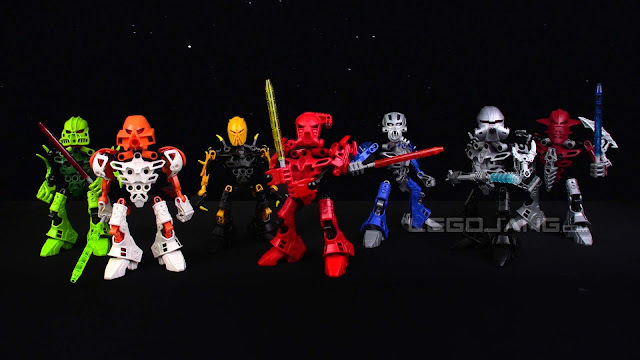 Okay, this is it for the Galaxy Squad series for now, the BIG one of Wave 1! What do you think? 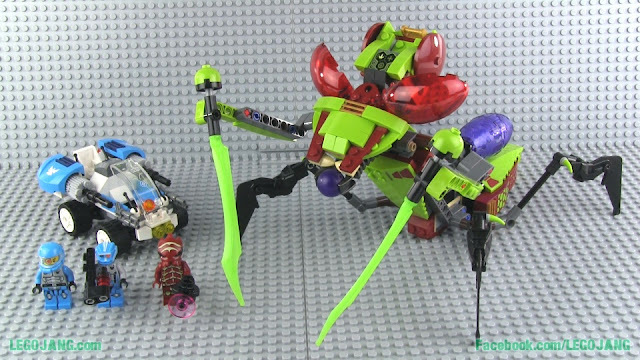 Video: LEGO Galaxy Squad Bug Obliterator 70705 parts & review! 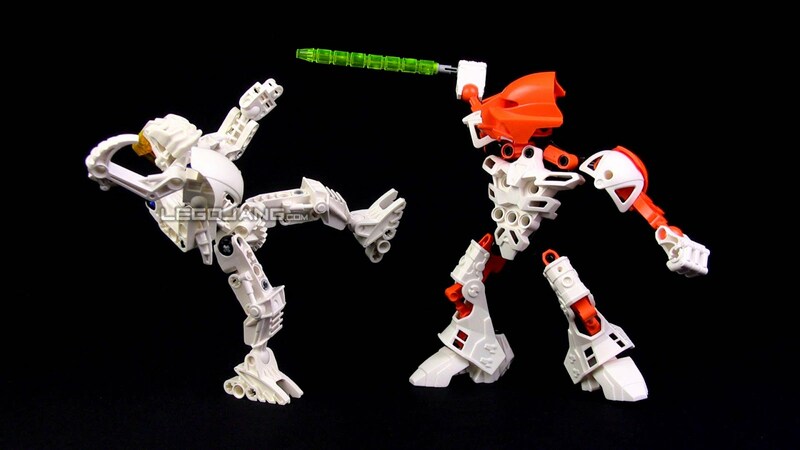 Things kicked off with a Hero Factory MOC called X-OR, built with no particular rhyme or reason. Next came Rachnox, a spider-derived Hero Factory Brain Attack MOC using part of the core of my Cuboid Snowflake creation. 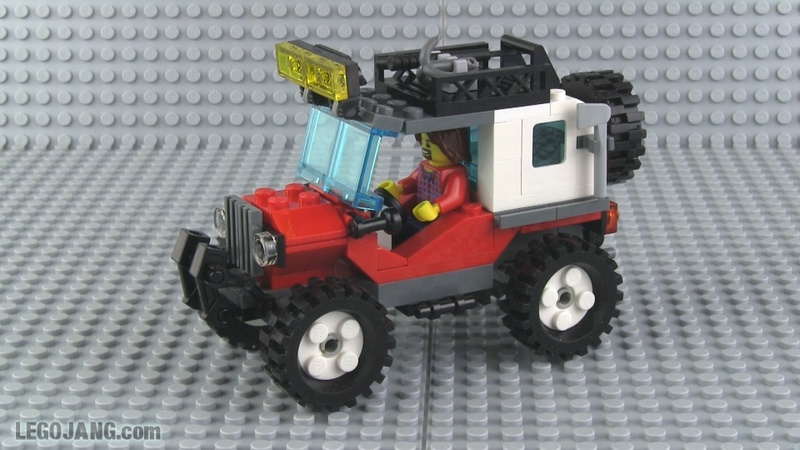 The Weekend Off-Roader was my first System MOC in years. 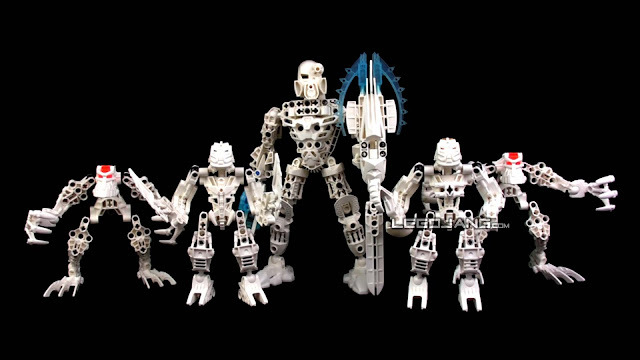 Years after capturing the footage, I released my before & after video of the Guardians of Zemai-4, following the earlier story relayed by Zeyek. 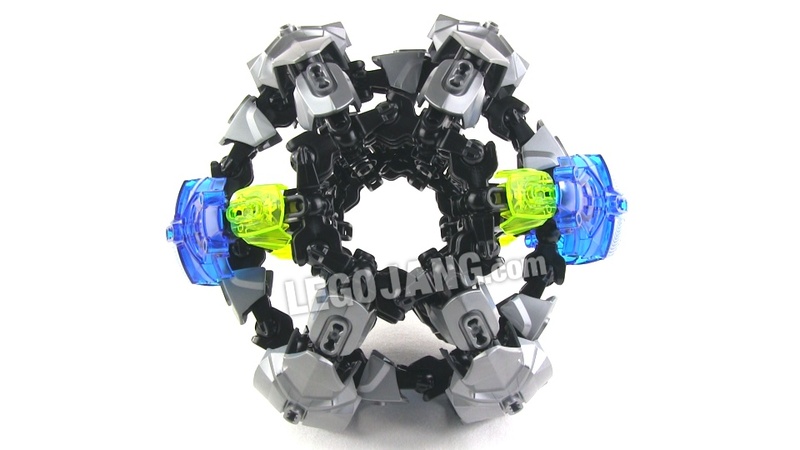 It's not proper DNA, but the Double Helix MOC from my Hero Factory GEO series certainly looks like it from afar. 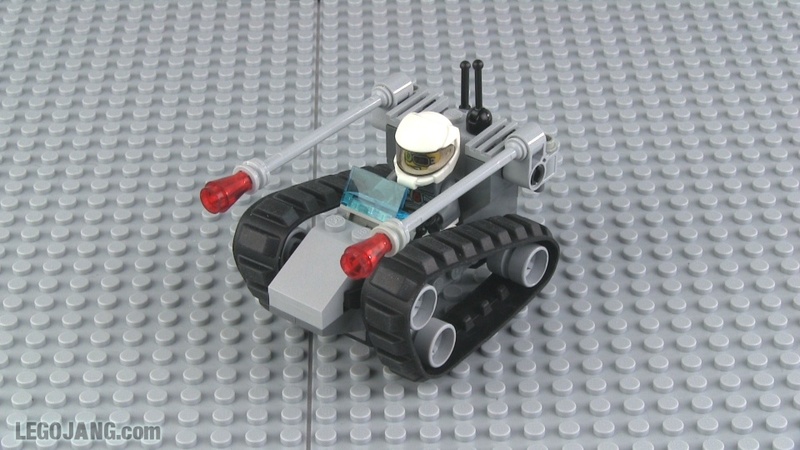 After watching too many episodes of the 1980s GI Joe series on Netflix, I made a couple of small tanks, one very small and one just sorta small. The Pick-A-Brick portion of my last LEGO Shop order finally arrived. I continued my Galaxy Squad series reviews with the Vermin Vaporizer. Hero Factory GEO continued with the unveiling of a small pyramid. What do you know, yet another System MOC, already! 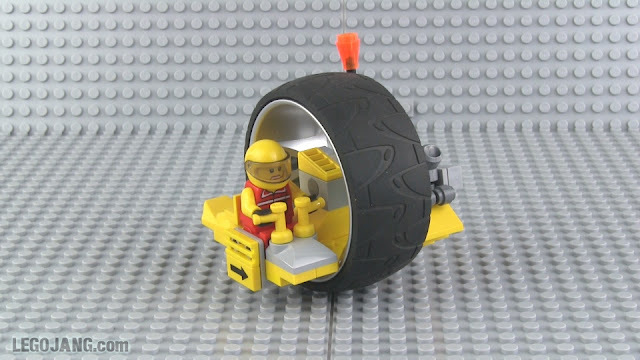 This one's a wheeled vehicle, but with only one wheel! 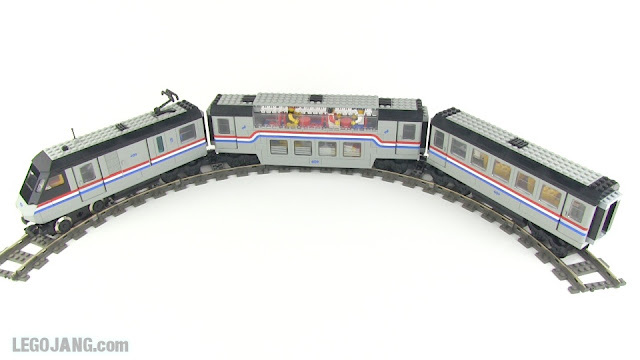 I proudly showed a new-to-me 2001 Metroliner series train from eBay. The GEO experiment bore still more fruit, this time with a proper cube. 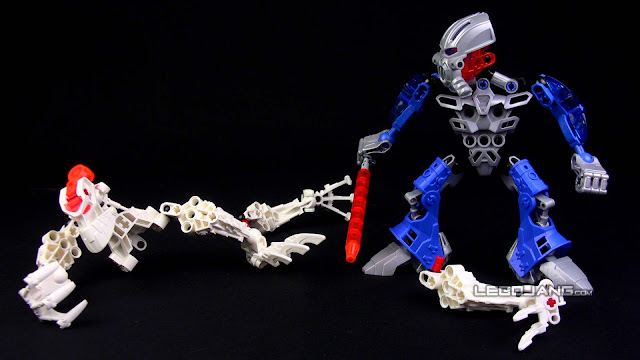 With all of this new stuff, it was time to disassemble another old Bionicle MOC. Okay, one small thing disassembled, time to replace it with a gigantic lot of new (and old) parts! Whew! What a week indeed! Moar parts. How many? How about 1029? Now here's an oldie. 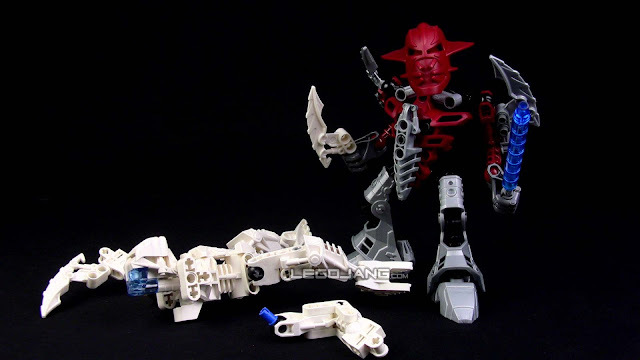 This was one of my earliest LEGO action figure building system MOCs and as of this writing it would be the oldest surviving MOC of mine, period. I say "would be" because I've already taken it apart, but I did get a final look at it on video for all of y'all and for all of posterity, for what it's worth. Now here's one nice eBay haul. After looking up every single LEGO train set ever made, I found that there were only a handful I wanted to the point of need. Atop the list is Metroliner, released in 1991 as set 4558, and re-released in 2001 as set 10001. 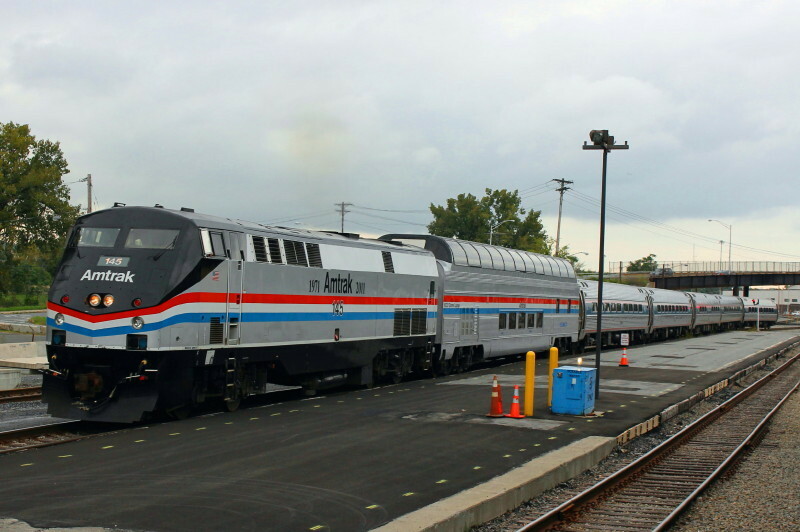 It's styled after the "Phase III" paint scheme of Amtrak trains in the United States, the engine being apparently inspired by a GE GenesisP42DC. This all has significance to me because I used to watch Amtrak trains go by from my home when I was a kid. Here's a minifig-scale experimental single-wheel vehicle that's still in testing! Always fun to try something out of the ordinary. This one didn't turn out quite as well as I would have hoped form, but I'm still just low on System parts. 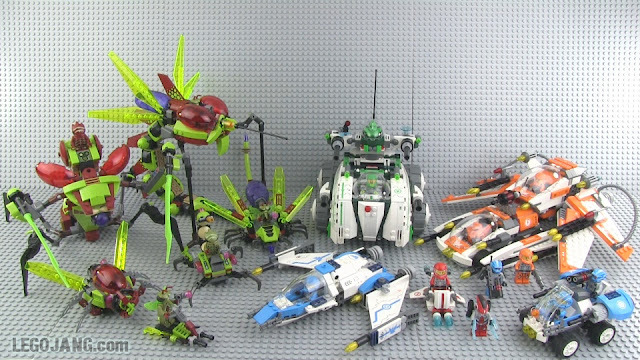 I need more Bricklink hauls, and more importantly, I need to do more set reviews to collect a wider variety of new pieces! 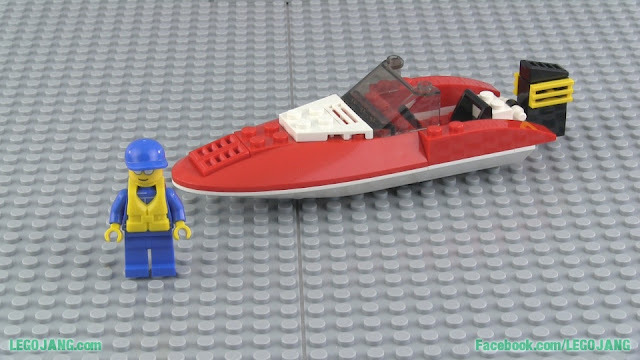 Another GEO series MOC, extremely simple once again, yet useful, with a new realization! LEGO Galaxy Squad Vermin Vaporizer 70704 parts & review! 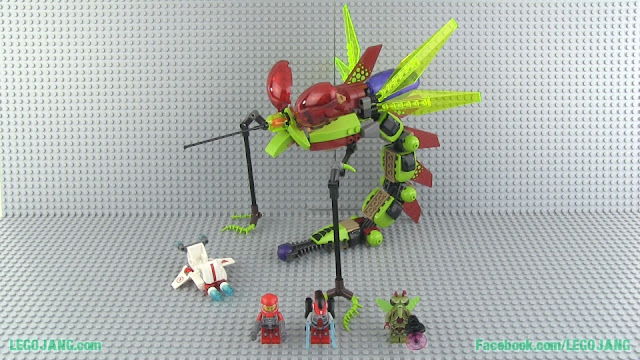 Unboxing, abbreviated speed build, and review of LEGO Galaxy Squad Vermin Vaporizer set 70704, second largest in Wave 1. 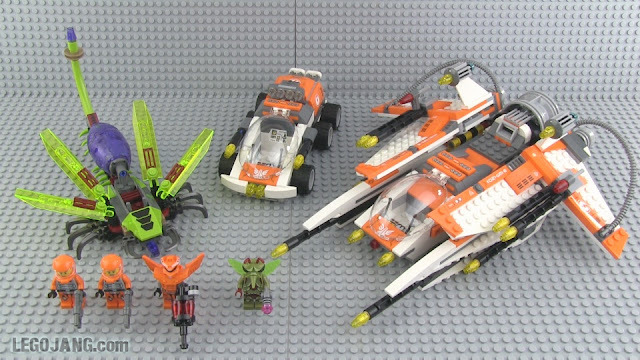 Video: LEGO Galaxy Squad Vermin Vaporizer 70704 parts & review! Created a couple of days after the LPAT, posted right after it by coincidence. The next step up in size for the human ground defense forces! 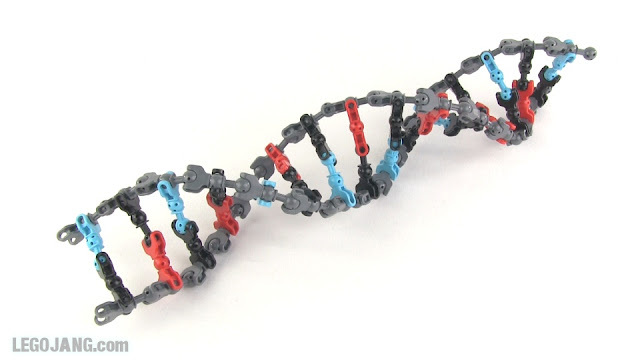 This is not an attempt to perfectly replicate DNA. It is not a DNA replica. 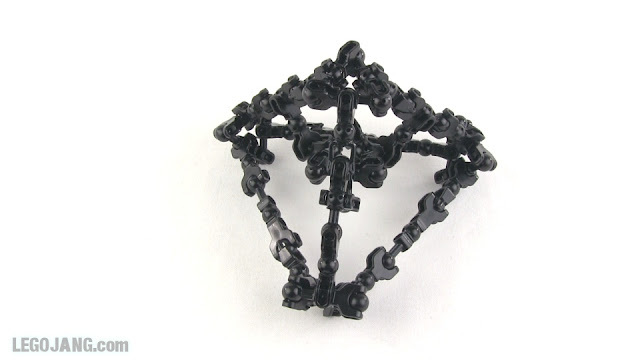 It is just me continuing to play around with parts & shapes to discover new possibilities with the Hero Factory bone pieces. 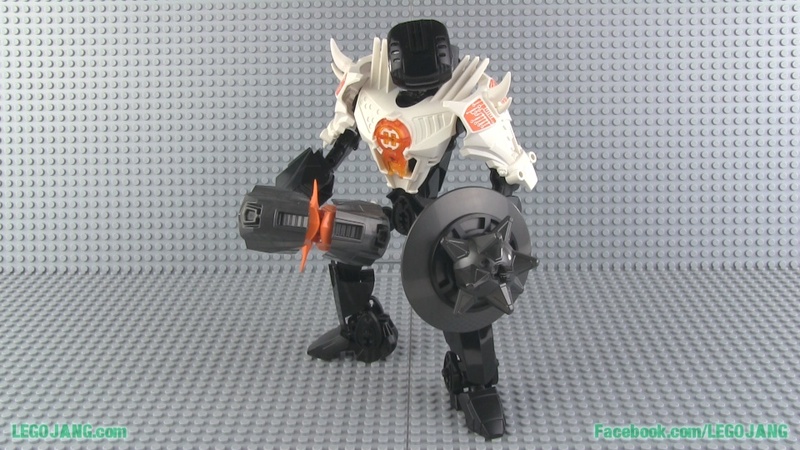 Well folks, this MOC is.. just a MOC. 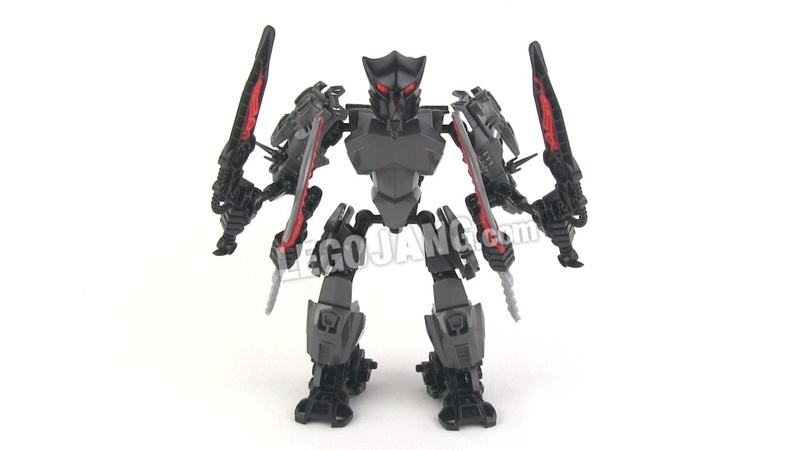 No backstory, no particular purpose, just a figure made for the sake of making a figure! 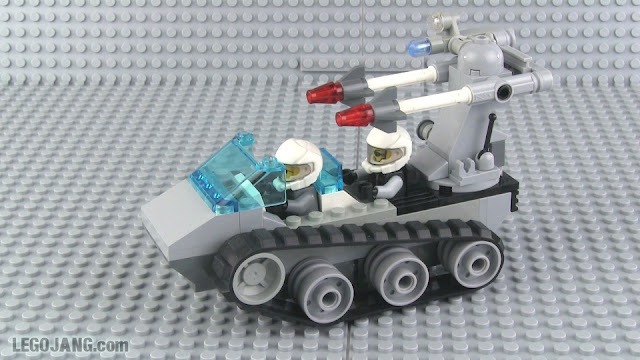 I've been going wild publishing new LEGO stuff this week, so I thought it would be useful to sum up the new posts for folks who don't visit on a daily basis. There's so much new stuff that some of these things have already fallen off the first page of the blog! 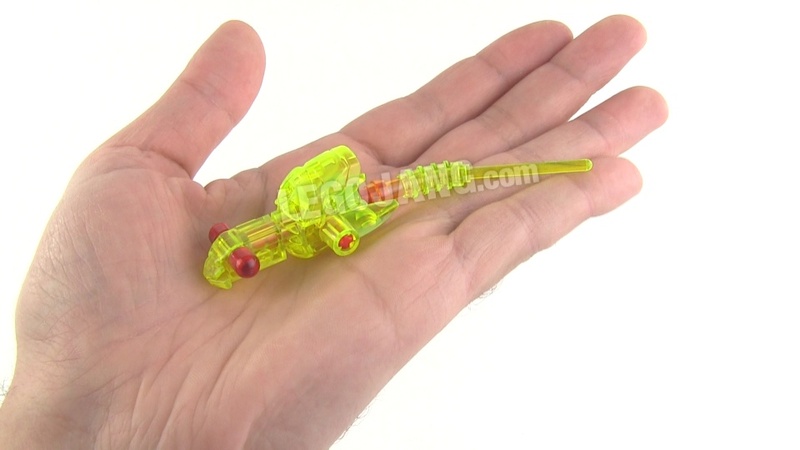 Polyhydrastocyst HF Brain Attack MOC, 32" long with two heads! With all of this stuff published, I still ended the week with a backlog of completed MOCs that have already been filmed, plus another that's yet to be filmed, plus two new hauls to share! This coming week I will attempt to get caught up by publishing multiple videos per day. Be sure to keep up, if you can! 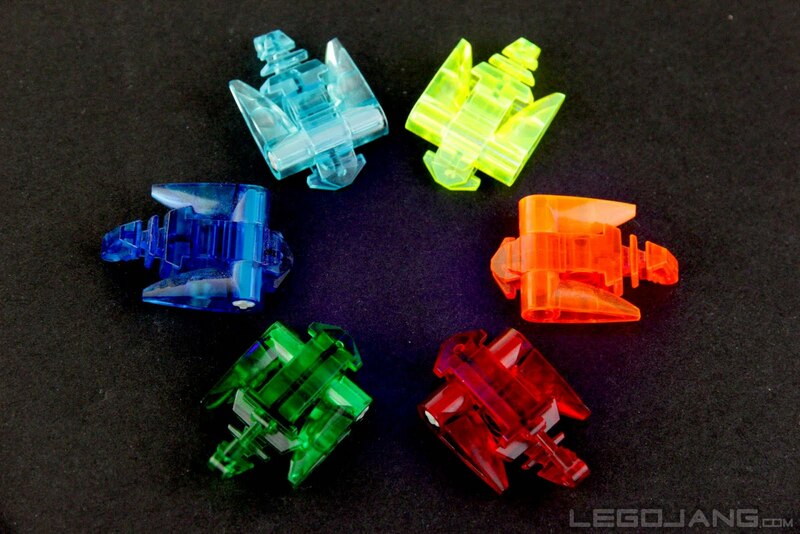 This tiny translucent curiosity follow s the theme of my Lucient Sprite and Lucient Hydra MOCs. If I remember correctly, though, this little guy was actually made before even the Sprite. Why it took me so long to publish this is of no concern, though. 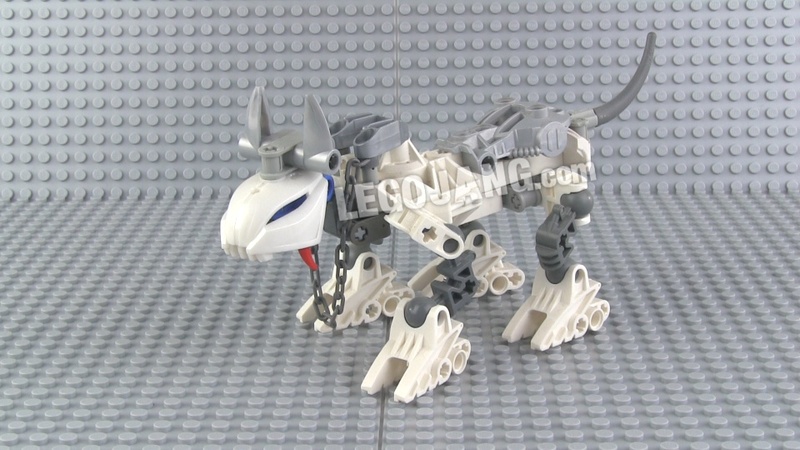 What matters is that it's here now, and by the time you're reading this, these parts are back in circulation for use in more new MOCs! LEGO City High Speed Chase 60007 build & review! 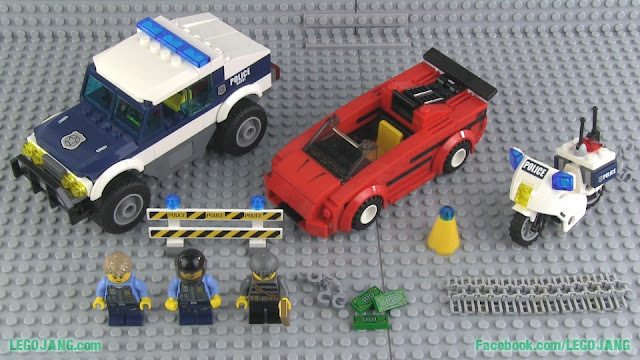 Unboxing, speed build, and review of the LEGO City High Speed Chase set 60007 featuring Chase McCain of the Elite Police. Three vehicles & three minifigs in this one $20 set. Video: LEGO City High Speed Chase 60007 build & review! Here's an oldie, but goodie, used in the old Rilovians story, though made even earlier than that. I've kept this one on display for nearly four years, and now it is finally meeting the fate of the vast majority of my MOCs! Following up on my ball MOC which used a hexagonal template, this colorful thing uses a completely different 6-sided building style. 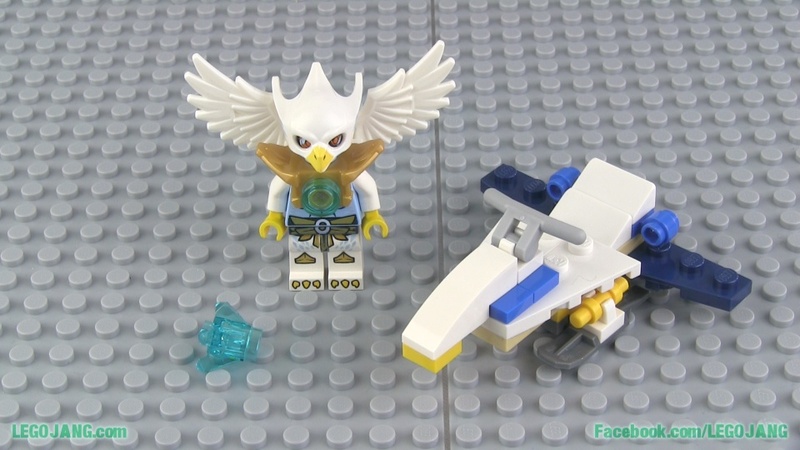 LEGO Chima Ewar's Acro Fighter 30250 build & review! 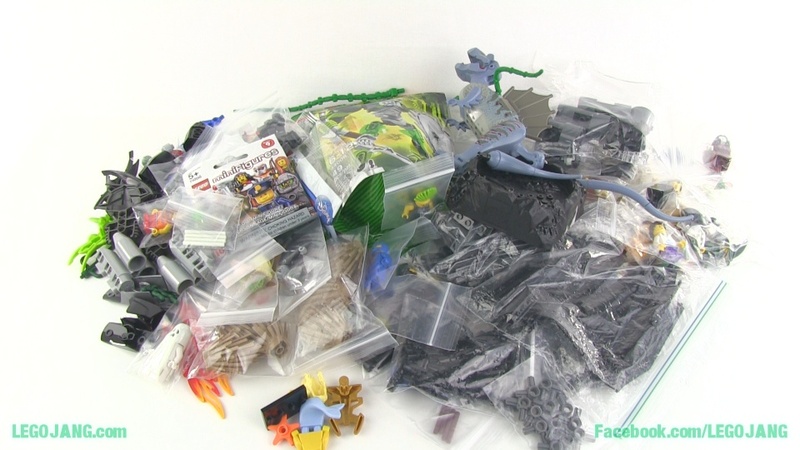 Unpacking, speed build, and review of LEGO Chima Ewar's Acro Fighter set #30250, a LEGO Shop at Home exclusive given as a bonus for orders over $75 in early 2013. 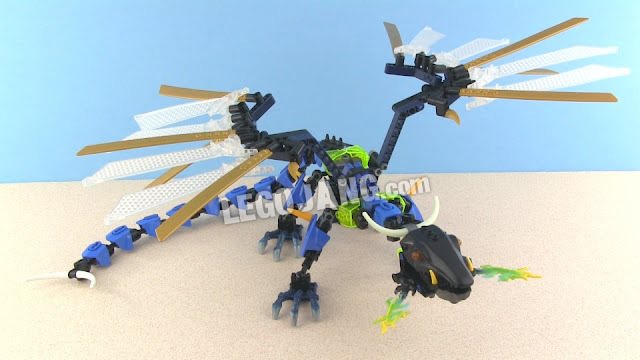 Video: LEGO Chima Ewar's Acro Fighter 30250 build & review! 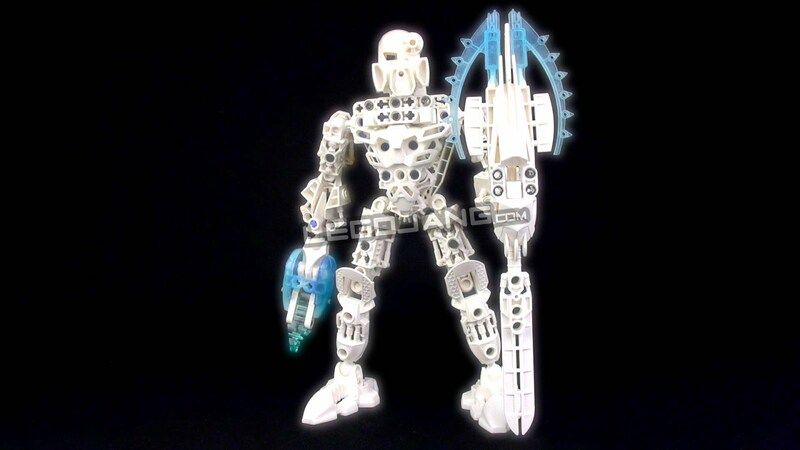 One last Faceless One series MOC for the forseeable future! 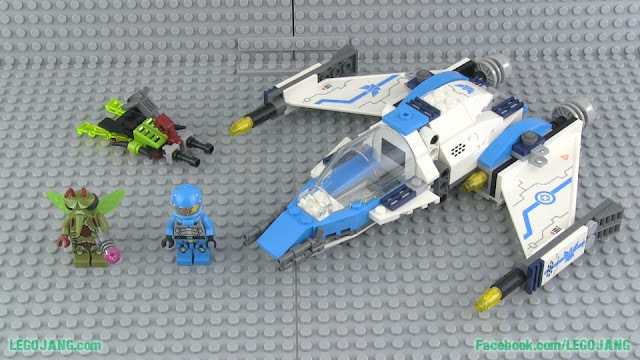 Unboxing, abbreviated speed build, and review of LEGO Galaxy Squad Star Slicer set 70703. The big G.S. sets come next! Video: LEGO Galaxy Squad Star Slicer 70703 parts & review! Introducing Hero Factory GEO, a new series of exploratory & experimental MOCs based upon simple geometric designs. 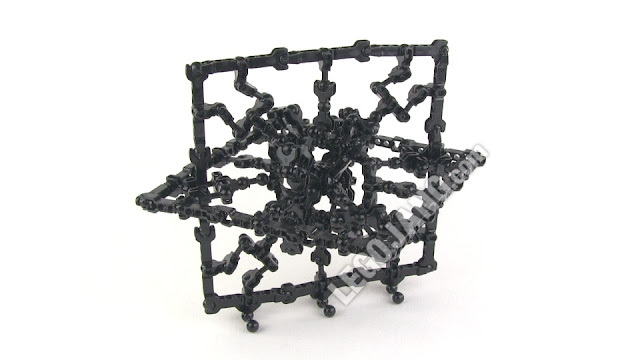 Each creation in this series will focus on a single shape and seek to either accurately realize that shape using primarily standard ball & socket connections, or use that basic shape to create something interesting & new. I begin with... a sphere! 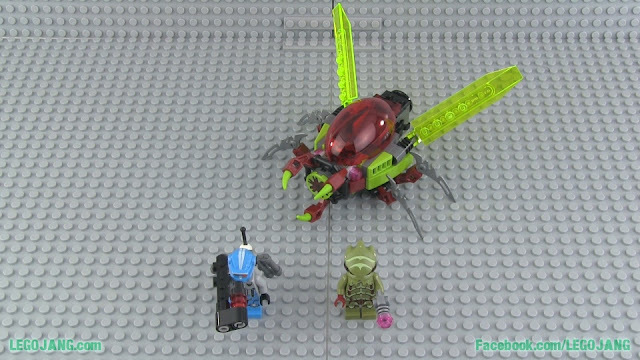 Here's a Hero Factory Brain Attack series MOC for ya with a bit of warning regarding what can occur when the brain parasite infestation process goes wrong! More stuff again! 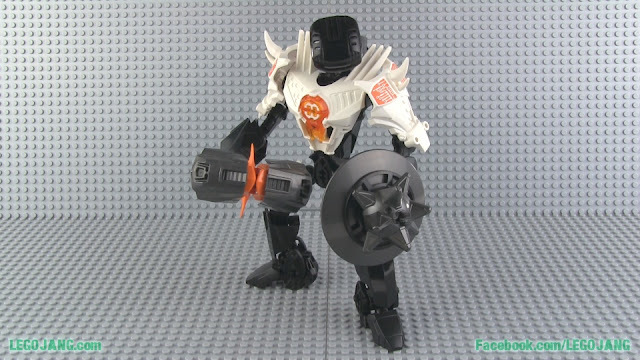 Another minifig-skewed mix, though with some other important parts as well. Mostly minifigs in this single-seller haul from a couple days ago. More on the way! The in rapid succession, the members of the Brotherhood met their violent ends before the glowing energy swords of the Dark Order. 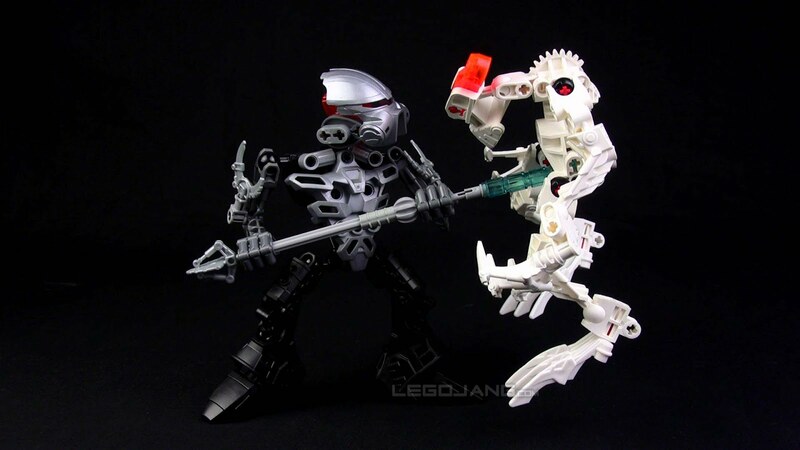 Soon even Lecius himself was disarmed and facing his demise. One Rokkun miner, cowering behind a lifter, overheard some sort of final offer being extended to the fallen villain, but the offer was evidently refused, as quickly thereafter, Lecius was relieved of his head. The same member of the Dark Order who had delivered the ominous warning so long ago now summoned the Rokkun out of hiding, for yet another proclamation. "The sacred crystals beneath your feet, shall bring you pain and despair for so long as you covet them. When you depart this time, remove this system from your navigational databases. Spread word to your people that swift death will greet any who set foot upon this planet. We MAINTAIN protection of this land. DO NOT return." Nothing further was said. 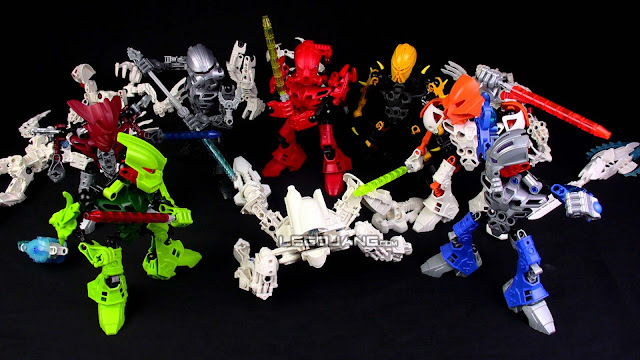 The seven warriors stood their ground silently as the weakened Rokkun liberated their transports and departed Zemai-4 for the very last time. So ends this cautionary tale from the master chronicler himself, Zeyekti-Iiloptinous Mazzourel, a.k.a. Zeyek. 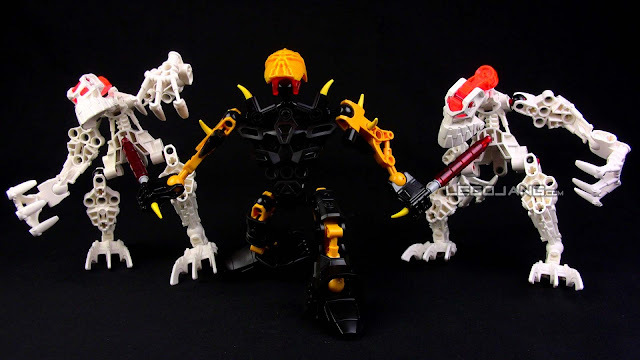 With nothing further to hide, Lecius allowed his grotesque minions to walk about Zemai-4 freely to intimidate the miners and enforce the conditions of his oppressive rule. Morale among the Rokkun workers had hit rock bottom; pardon the reference. Sustenance was provided in only the quantity required to maintain operation of the mining equipment. Shifts were long, and breaks were not tolerated. Crystal masses were separated by hand for temporary storage while a refinery was hastily constructed using materials captured from neutral freighters passing through nearby systems. The Brotherhood controlled the land and the skies as far as the eye could see. The Rokkun were doomed to spend the remainder of their existence serving a murderer and his monsters. How ironic, it was, that the saviors of Rokkun would become their worst enemies. How ironic, it was, that the once worst enemies of the Rokkun, would become their saviors. 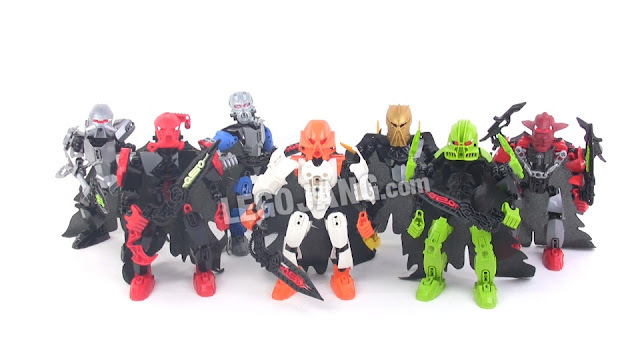 Ah yes, the Dark Order seven returned, and oh, how ready they were, for battle. "No! No negotiation, we want you g..."
"This, is a negotiation. I will give you two chances to increase my share to fifty percent of all material drawn from the mines." "To Xhin with you, ruffian!" Without breaking his slow and deliberate stride, without breaking his gaze upon the mangers, Lecius drew his second weapon with his right hand, aimed at the boisterous Rokkun, and shot him through one of his shins, collapsing him to the ground. 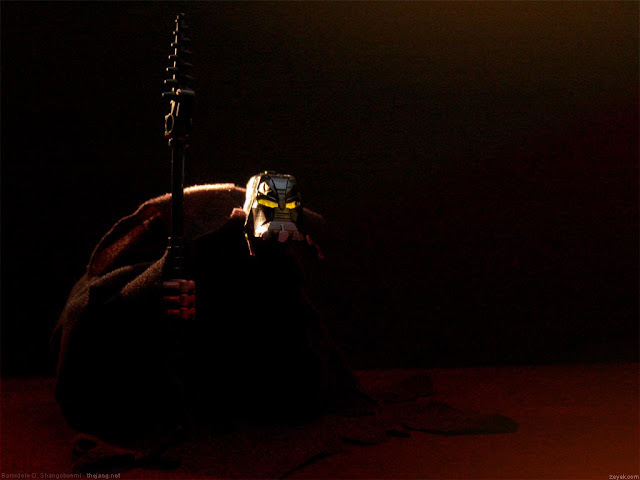 "You now have, one, final chance, to increase my share, to fifty percent." By now he had reached the edge of the circle and the point of his glowing, activated spear was nearly brushing the chins of the mine managers as it was slowly swung from side to side. Defiantly, the site leaders stood their ground. "You are a filthy, greedy criminal! We will make no further deals with you!" Lecius raised his eyebrows with a bit of contrived surprise. 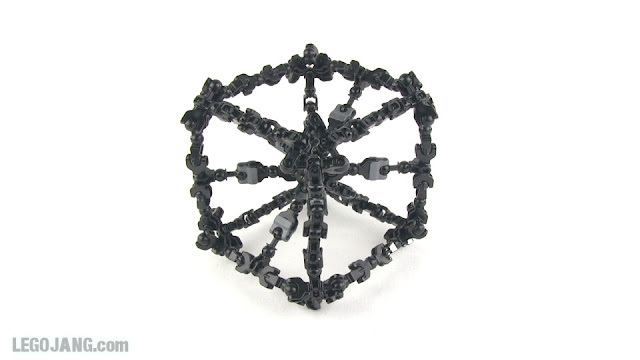 Quickly, he spun to face the center of the circle, but not before extending his spear ever so slightly further. He sliced the throats of both mine managers, and they immediately fell dead. 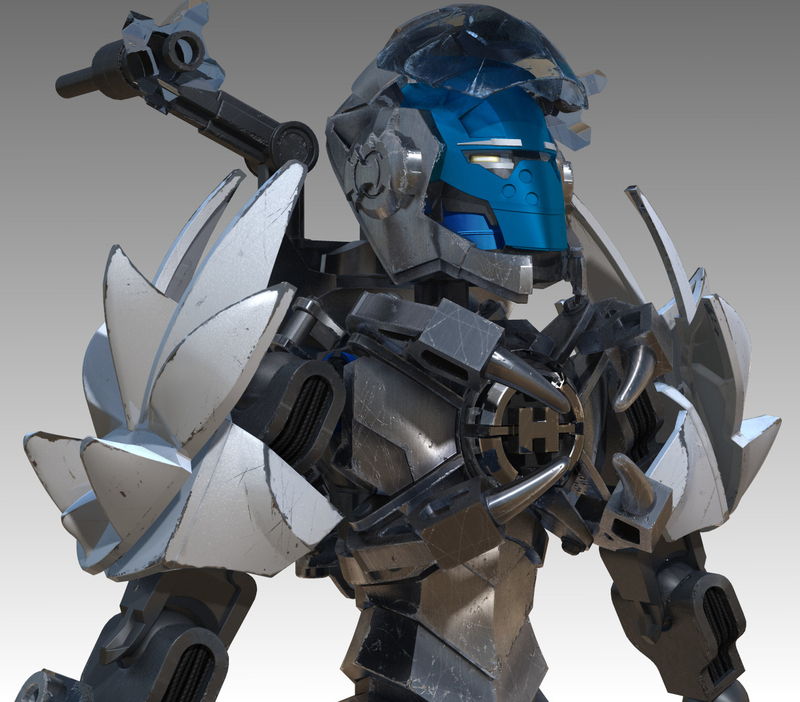 Lecius looked around at the rocky terrain and the tallest mining machinery about the site as he retraced his previous steps. The living circle of Rokkun widened and parted before him. 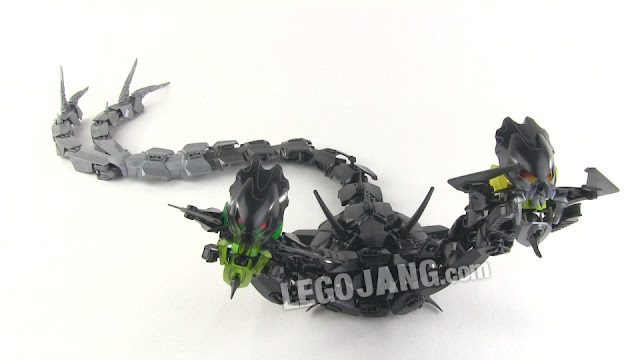 "This mine, and all of its Sangrys, its Quaza, its Imbolan, its Khlorydar, its Leptul, and its Cymbis, is now property of the Brotherhood of the Light. You all work for me. You will no longer transport a single crystal off this planet. You will no longer leave, this planet, for any reason. You will no longer make contact with any one or any thing, off this planet. You will assist in the construction of a refinery in the valley, there [pointing]. You will follow my instructions to the letter and without complaint, or I and my brethren... will relieve you of your breath." The morning Zemai sun had just begun to peek over the far ridge, and on that ridge, dozens of menacing silhouettes appeared. 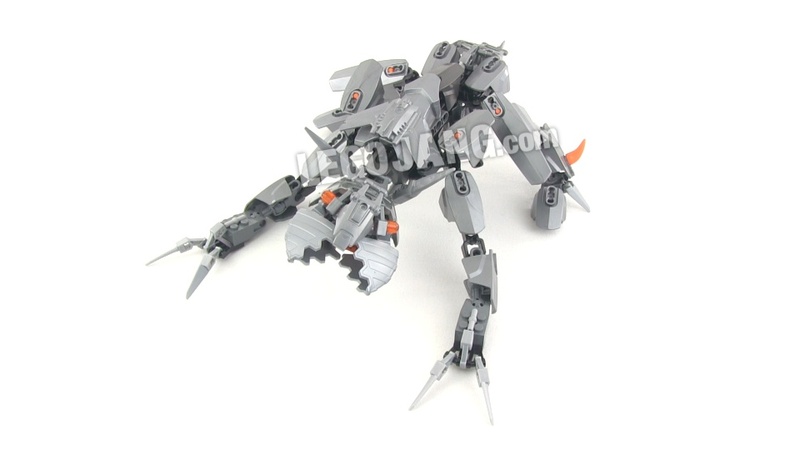 Here's a a Promethean Crawler MOC made using primarily LEGO Hero Factory action figure parts. Nothing too involved, a pretty quick build. Just something fun. Without warning, not one, but both of the dig site's large and well-secured battery banks shorted out, dramatic showers of sparks & all. Backup generators failed to start -- they had been, sliced, open. Four security guards lay unconscious, though apparently uninjured. Atop a ridge that lined the back edge of the site, seven figures appeared, with the night sky behind them. "You may know of us as the Dark Order. We claim protection of this land. You know not the power of these 'crystals' you seek, nor the danger they bring to the uninitiated." The miners stirred and whispered to each other. A squad of security personnel had drawn their weapons and snuck up the ridge in a flanking maneuver. As they emerged from cover to demand surrender, the nearest and only the nearest of the intruders snapped his head in their direction, relaxed, and slowly raised both hands above his head. Suddenly, he lowered his free hand and extended it towards the guards. He made a motion as if grabbing a handful of air, then quickly bringing it to his chest. The guards began to tremble where they stood. Their weapon hands were outstretched, though now empty, their former contents coming to rest at the intruder's feet as if yanked across the way by an invisible force. "Leave this place. Quickly. And do not return. This is not a request." With that, the "Dark Order" seven deactivated their swords and retreated into the rocky landscape. Master chronicler Zeyek today brings us the beginning of a historical tale of dark and light in an alternate universe. Imbolan, Cymbis, Leptul, Quaza, Sangrys, Khlorydar. All incredibly powerful, energy-rich, and rare substances. All found in abundance on the dusty, rocky planet called Zemai-4. Rokkun explorers landed on Zemai-4 roughly 7,200 of your Earth years ago, and it took but four months for a vigorous mining operation to begin. A single month later, came the first attack. In the middle of a shift, someone sabotaged an important piece of equipment. A pump, it was, if I recall correctly. Yes, it is coming back to me, a cooling fluid pump, used to prevent a particularly large drill from... melting... itself. A peculiarly small hole was made in the housing of the primary filter, but through this hole the attacker was able to inflict a massive amount of internal damage; just to the filter, though, nothing else. After another hour of continued use, increasingly dense particulate matter decimated the pump from the inside, ruined the main cooling lines, oh, and clogged the mine's largest drill, causing it to seize up quite irreparably. Forgive the obvious reference, but the entire operation ground to a halt. Hmph. Not a single soul caught a glimpse of the culprit. It was two weeks before mining could resume, as a significant amount of equipment required replacement, and new shipments came from the far-away industrial Santrell system. Along with a new drill, countless hoses & fittings, several new cooling pumps and quite a complement of spare filters, a civilian security team was brought to the site. A state-of-the-art network of surveillance cameras was erected, too. 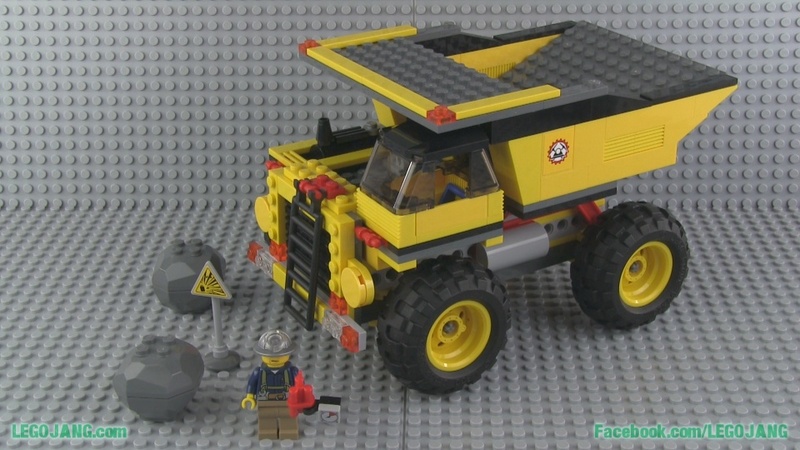 Mine operators were absolutely determined to prevent another shutdown incident. The new equipment was installed, checked, and re-checked. The security team went on high alert. Drilling resumed. All was well -- until night settled in. 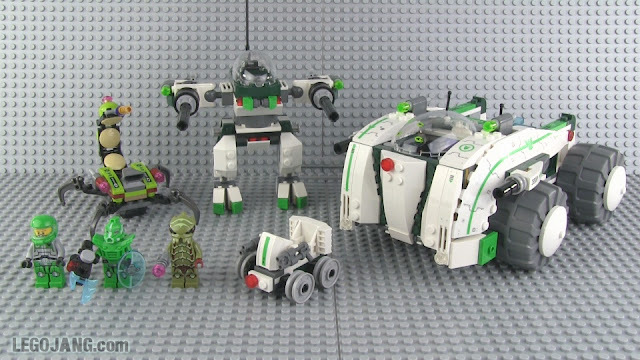 Unboxing, speed build, and review of LEGO Galaxy Squad Space Swarmer set 70700! Dragon Bolt & Stormer renderings from Brain Attack wave 2! 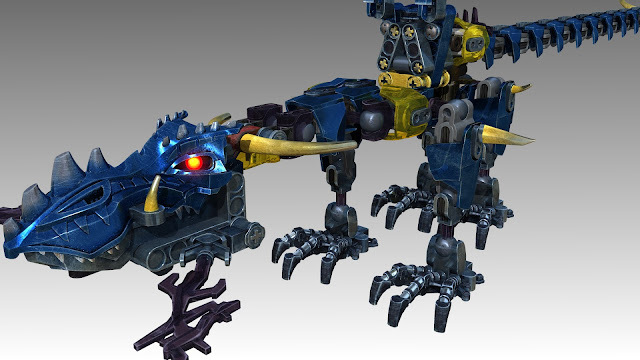 High-res, clear CG pictures of Dragon Bolt and Stormer from the upcoming Brain Attack animation. Original source: Kevin Huang's blog. 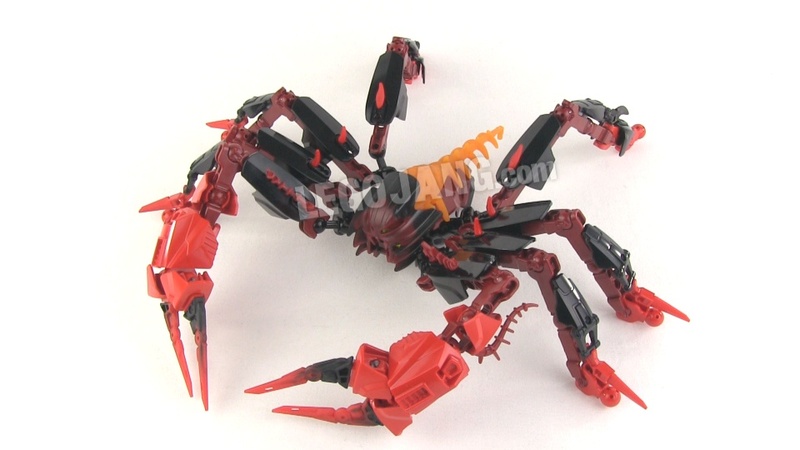 Credit to Jouster at Eurobricks for the find. Edit: Not Surge. Stormer. The other S guy. 5am, no sleep yet, still working, brain failing. Unboxing, speed build, and review of LEGO Galaxy Squad Warp Stinger set number 70702 !